Summertime is still in full swing, and one of its finest traditions is the Winnebago County Fair in Pecatonica, Ill., now in its 94th year. The fair runs Aug. 18-23, on the county fairgrounds at 500 W. First St. A carnival and talent show are planned, along with a concert by country artist Eric Paslay, tractor pulls, rodeo events and, of course, great fair food. Open your e-magazine now to learn more about the Winnebago County Fair. Your Outing: Welcome Autumn in Stockton, Ill.
Congratulations to Mari Hanson, of Cherry Valley, this week’s Smart Living Weekly giveaway winner! Mari takes home a Family 4 Pack to Winnebago County Fair, in Pecatonica. Next week’s giveaway is a $50 gift card to Giordano’s Pizza, in Rockford. Enter now by visiting northwestquarterly.com/contest. 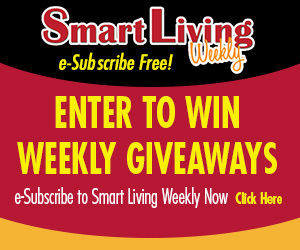 This entry was posted on Wednesday, August 12th, 2015 at 5:00 am	and is filed under News & Events, Smart Living Weekly. You can follow any responses to this entry through the RSS 2.0 feed. Both comments and pings are currently closed.